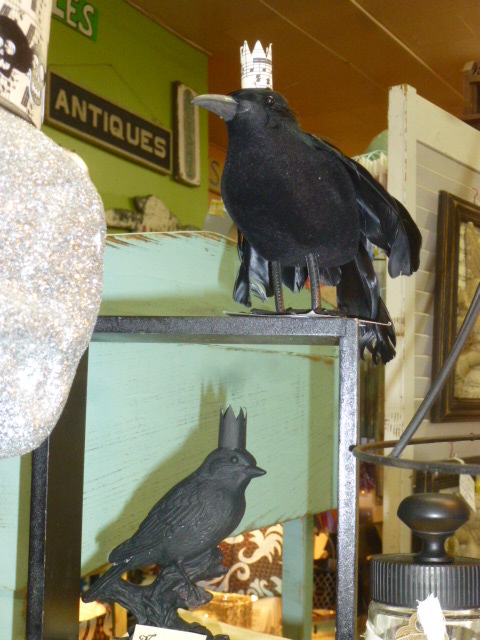 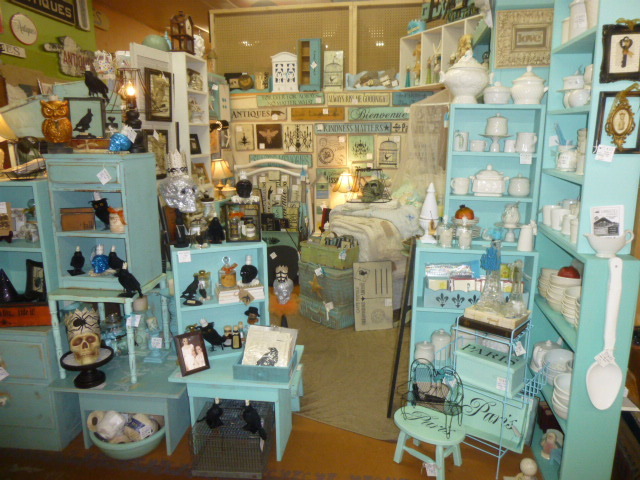 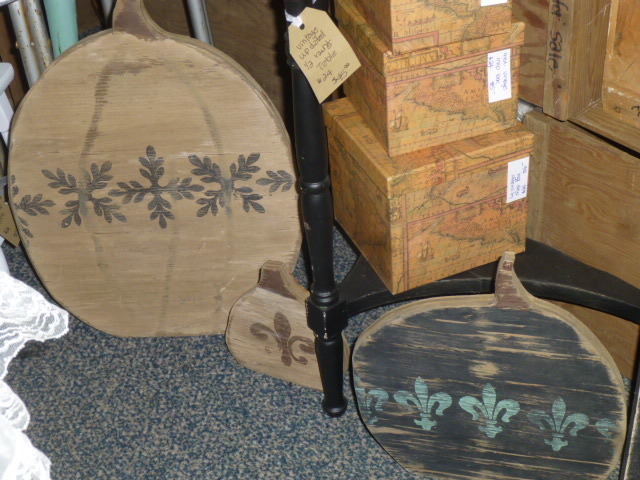 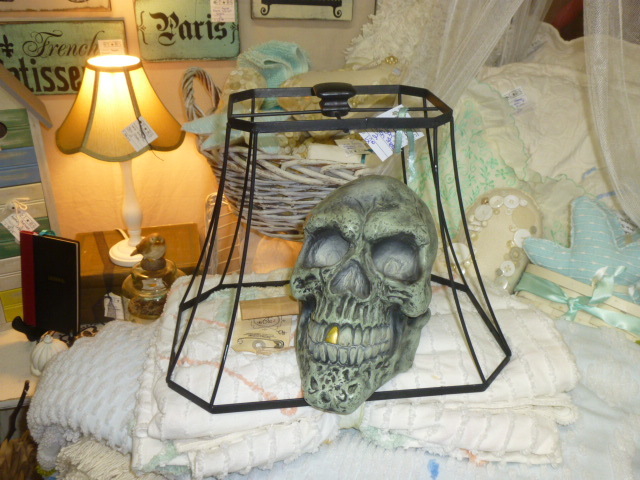 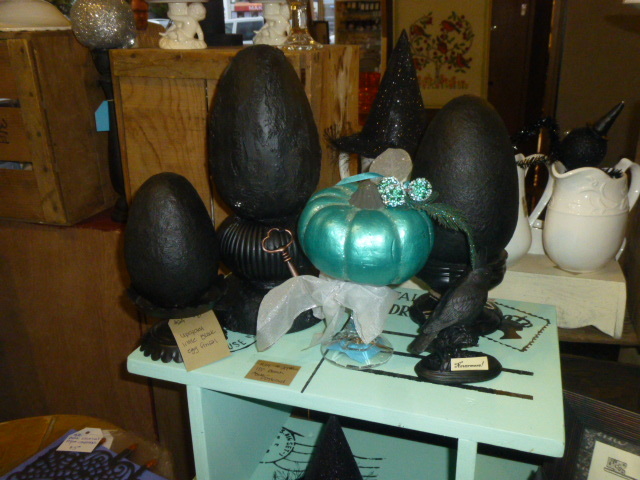 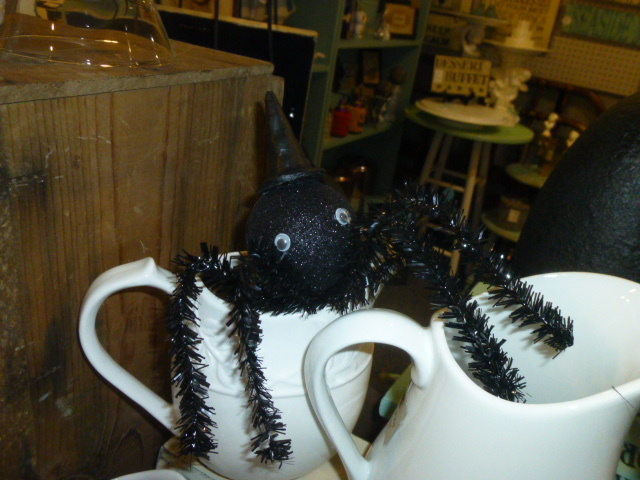 I’ve now got my booths in both antique malls stocked with fun Halloween goods. 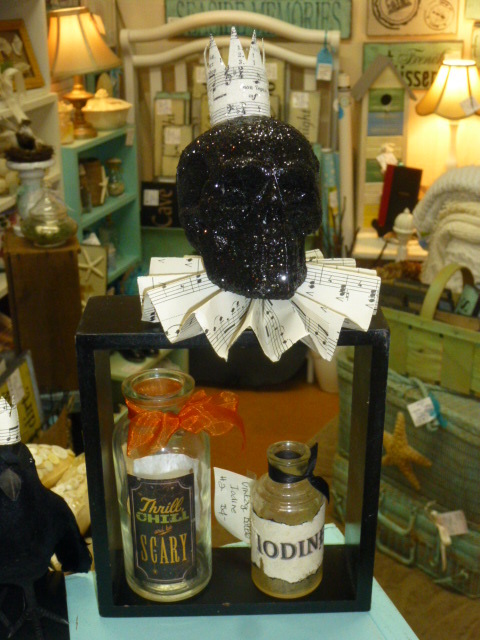 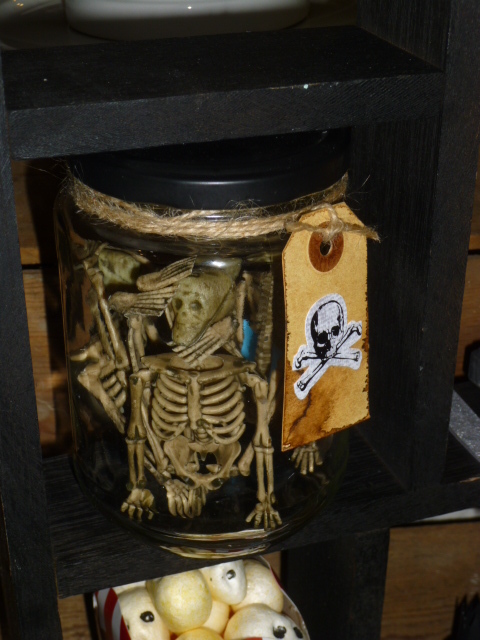 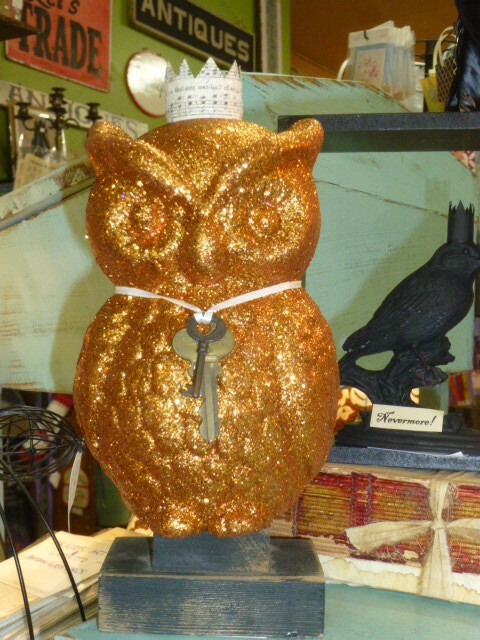 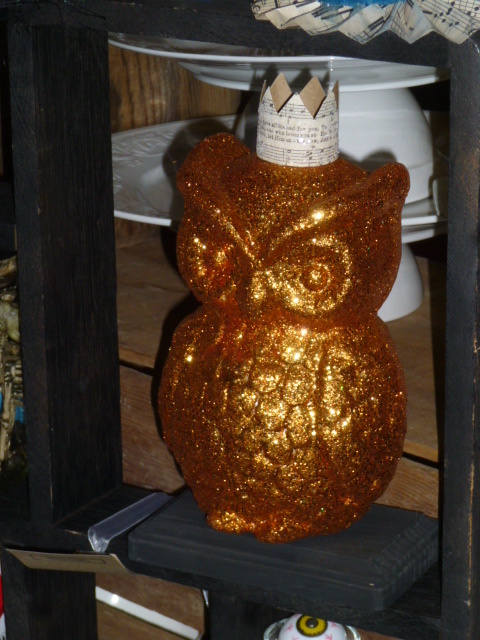 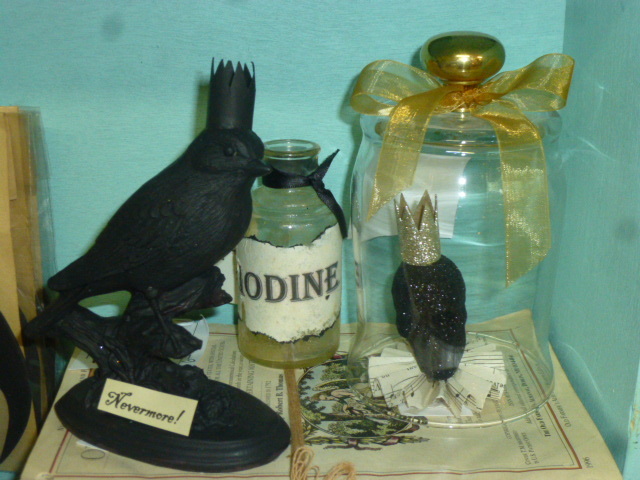 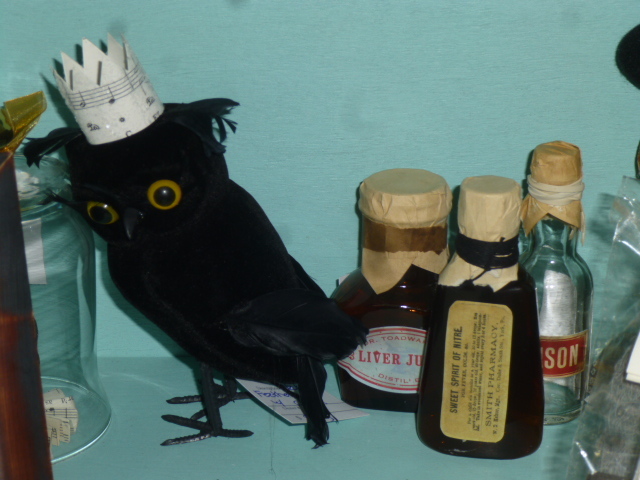 Nevermore raven, grubby old medicine bottle, mini glitter skull under a cloche (cloche sold separately). 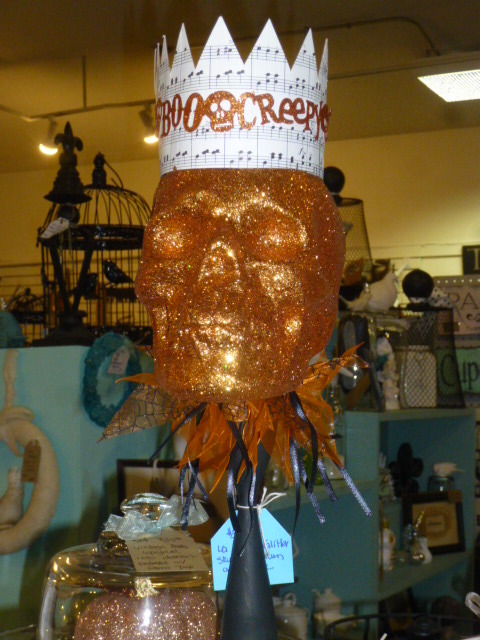 ‘skeleton’ shades are great for Halloween decorating! 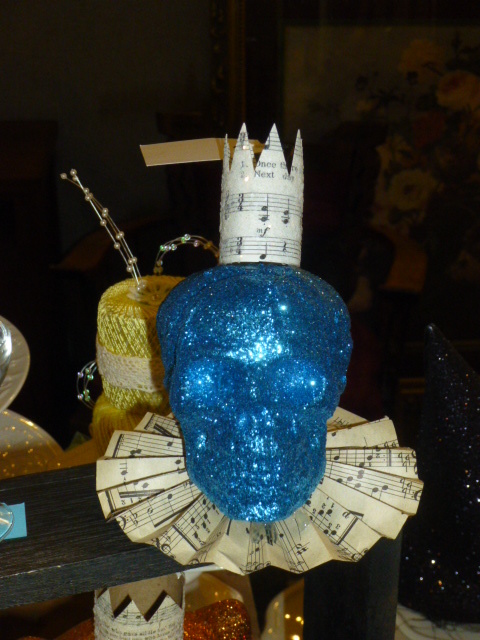 Small glitter skull on a stick with crown ornament. 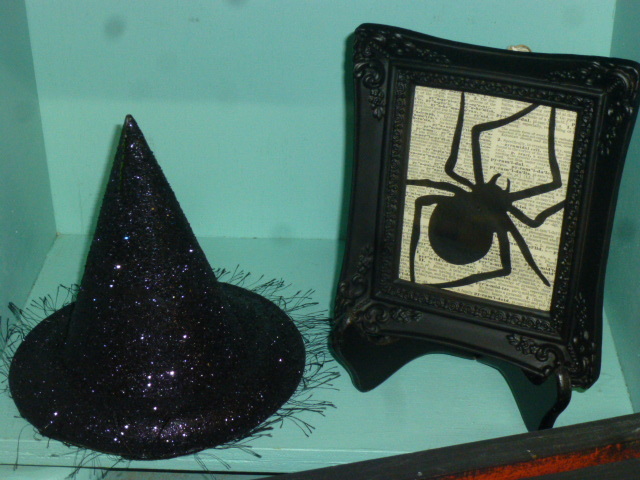 Little glitter witch hat and framed spider. 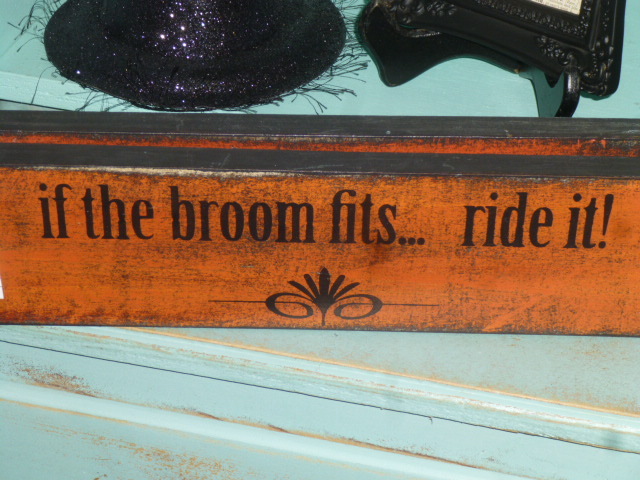 If the broom fits, ride it signs. 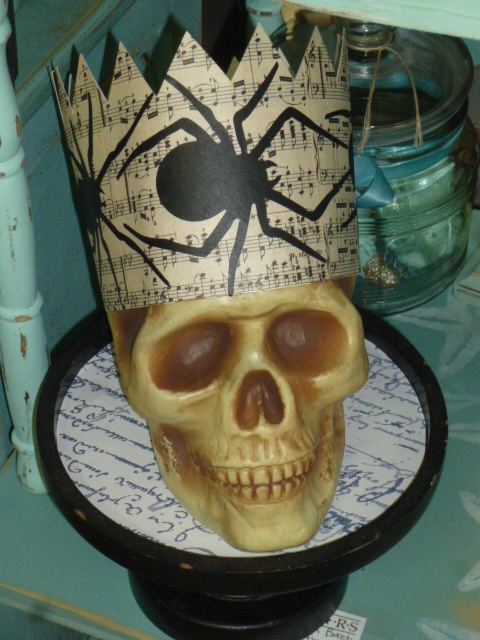 Skull with paper crown (sold separately). 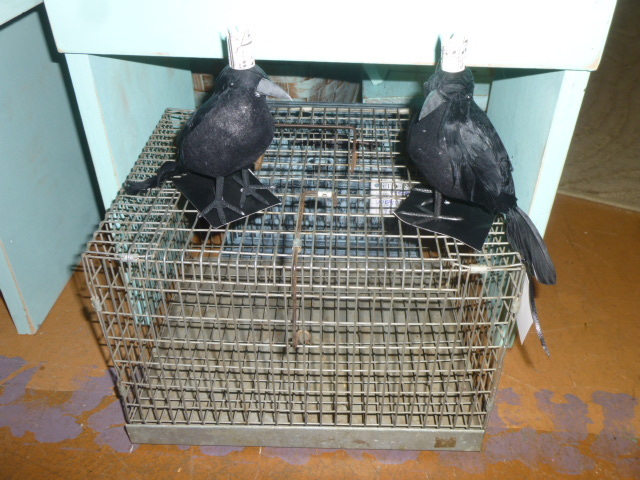 Vintage grubby old critter cage with more crowned crows. 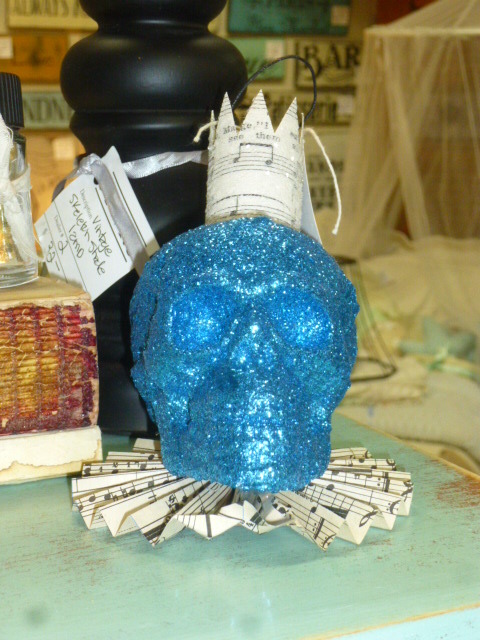 Mini glitter skull ornament; same size as the turquoise one. 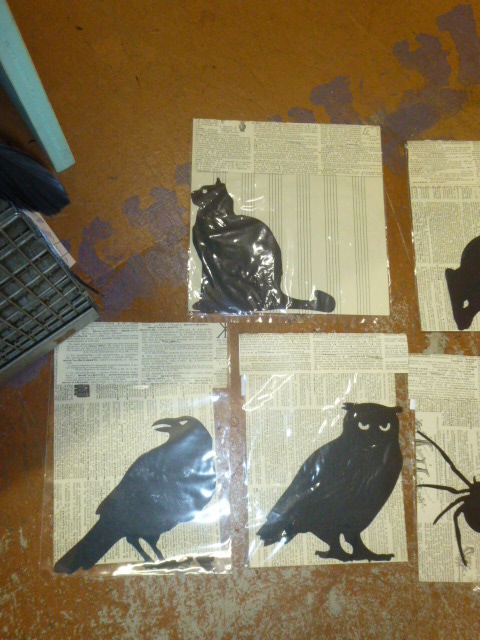 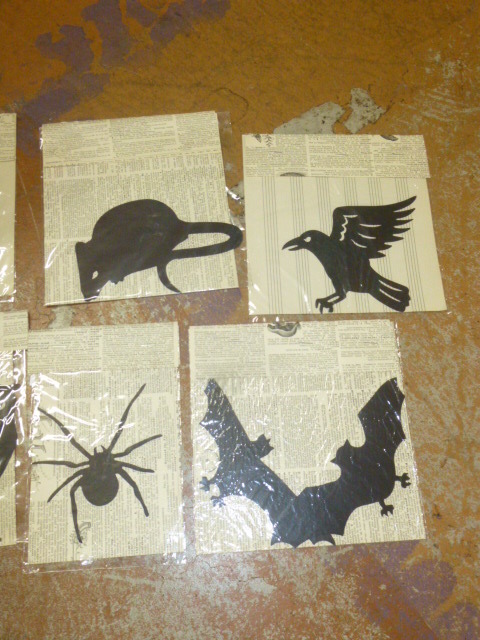 Assorted Halloween paper silhouettes; 2 to a pack for $1.00. 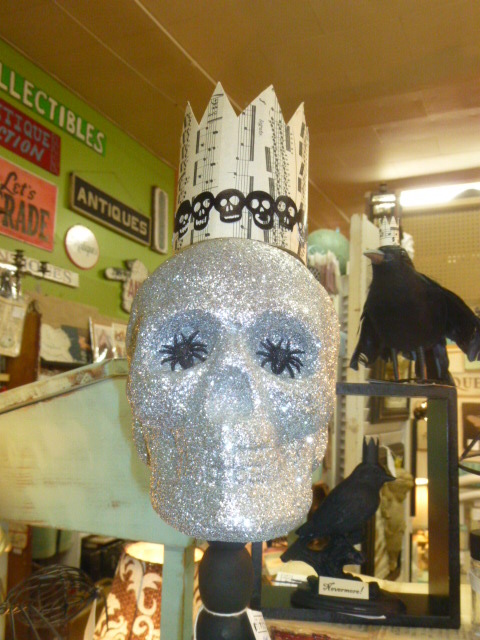 Large skull on a stick. 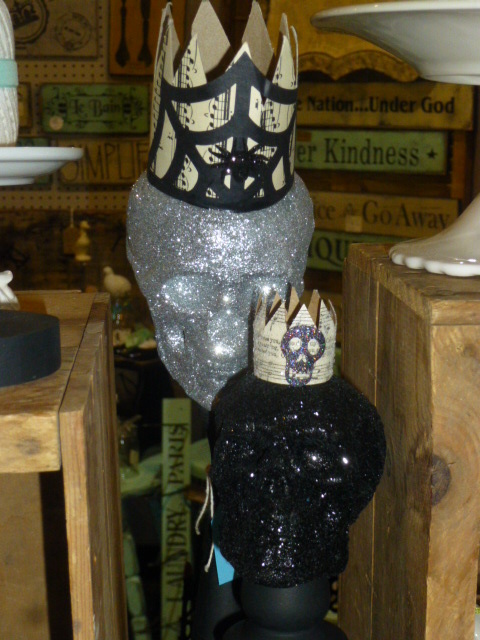 Medium and small skulls on a stick. 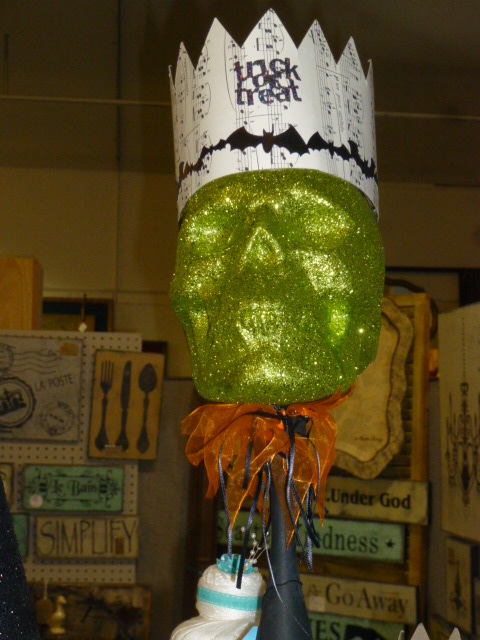 Another large skull on a stick. 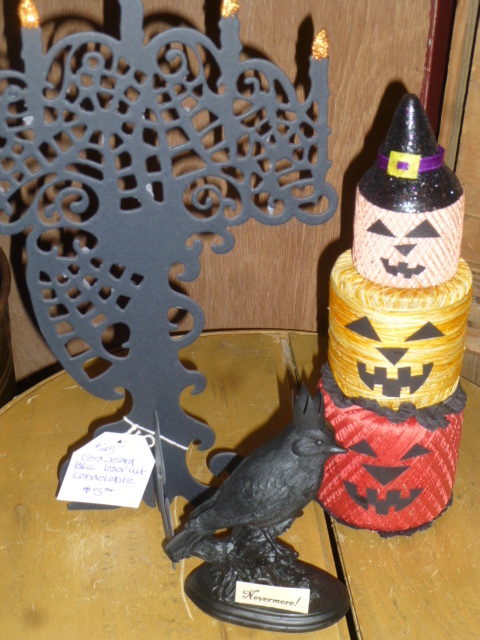 Little black shadow box shelf filled with Halloween stuff. 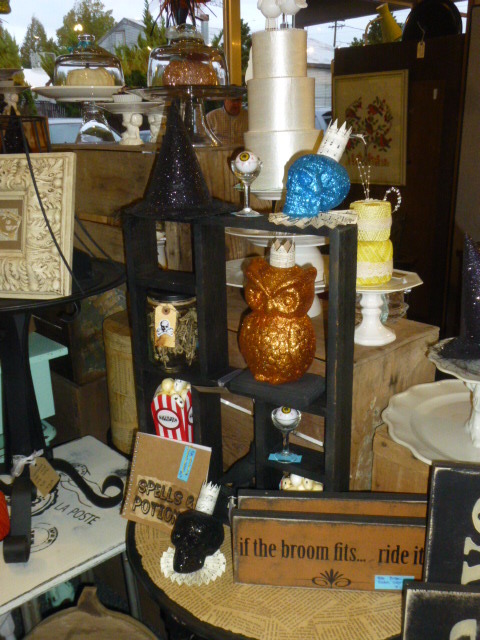 Prettied up pumpkins on pedestals. 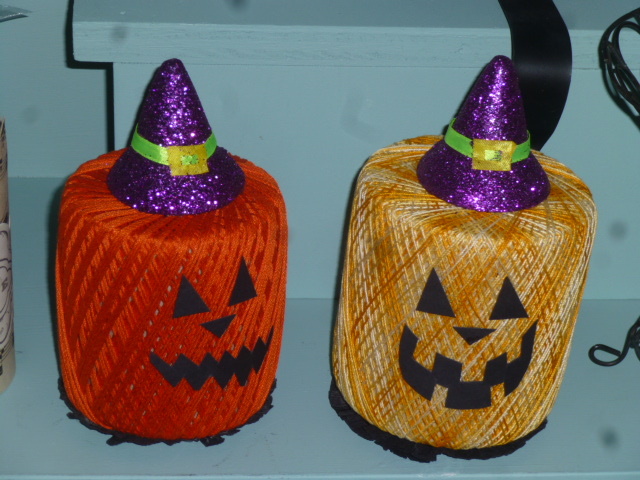 Jack-o-lantern face vintage crochet threads. 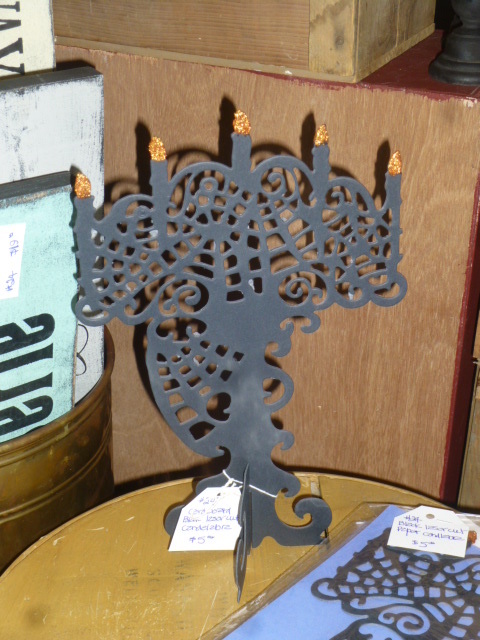 Lasercut tagboard candelabras with glittered candle tips. 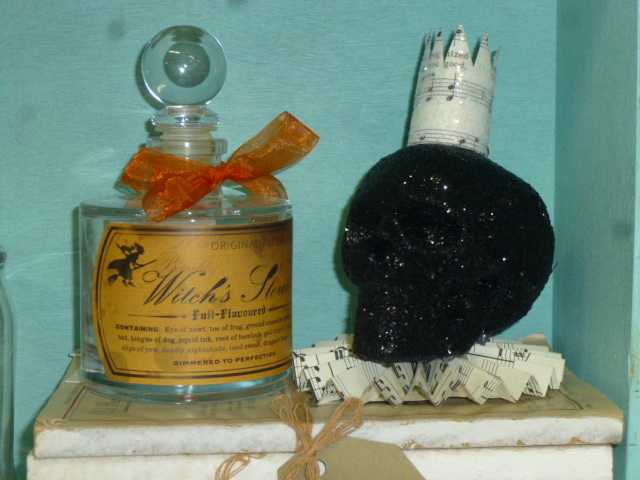 This one is set up for display; others available packaged so they don’t get damaged from handling. 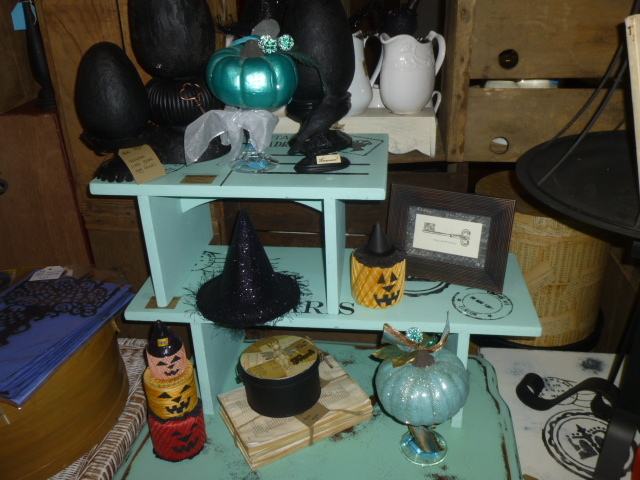 Shabby chic wood porch pumpkins.